Thank you so much for transporting my wife's car! It has been a complete ordeal ever since we moved and dealing with other unreliable carriers. 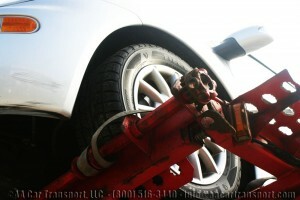 Than k you AA Car Transport for coming through and finally delivering our car in a timely and safe manner. Car Transport Rates keeps changing constantly. Transporting a car is a very common service that is offered worldwide and can essentially transport any type of vehicle from any given point to another. Many people use this service when moving or when buying/selling a vehicle as it is easier and more cost effective than driving. Car buying horizons have expanded so much due to technology that buying from a local dealer is not the only option anymore, website like eBay cars, Craigslist and even social media sites like Instagram or Facebook are now offering buying possibilities and car selling advertisement. Payment portals such as PayPal, direct bank transfers and money orders have made the experience of buying a car have infinite possibilities! With that said, customers are looking to transport cars all the time, unfortunately one of the biggest points that will effect this decision is the price. Many companies offer free quotes in exchange of little information in order to provide you accurate prices; however quotes provided is based on many different factors. Car transport rates are not always the same and many customers don’t understand why and believe carriers are ripping them off. Some go with the lowest car transport rates offered and then wonder why their cars were not picked up. It is ok to offer budgets to your booking agent, however it is important that when setting a price limit, you have flexibility on time on your hands, as pricing transportation incorrectly does not get your car moved as expected. One of the most important factors that affect prices is the season and weather. Winter and summer seasons are the most hectic times for the car transport industry, as many customers are looking to move during this time, however the flow of movement is different according to each route and time of year. Winter season, for example is popular for snowbirds, during September to November, these are customers that are looking to move south to avoid the harsh winter. Transportation flow during this time is in high demand from North to South and it is mainly done on East and West coast routes. Prices are cheaper when you ship against the flow than with it as demand to ship with the flow is higher. When winter season is ending around April to May, flow changes from South to North as all snowbirds are looking to return to their homes. Again, prices change according to the flow, what may have cost you approximately $800 to transport from NY to FL during September may cost you $600 during April, and vice versa. (Prices are just examples, do not base off these numbers). Another factor that is greatly taken into consideration is locations and mileage. Where your car is located is very important in order to provide an accurate price. When the pickup or delivery location off route, it doesn’t matter if the mileage is the same as an on route destination, prices will be different. The reason behind this is that many locations off route if not all, require the driver to make a 3-4 hour detour just for that vehicle. Not only that but it is considered a round trip as driver has to deliver or pickup and return again to continue on route. Unfortunately all main routes do not cover every single point and these locations require a higher pay to make the trip worthwhile. Other things to take in consideration with off route locations is the type of road conditions driver can expect, bad road conditions, mountain ranges and tolls can affect prices considerably. Some states even require special permits to operate on their land and can be higher than usual. Mileage is also a factor for car transport rates to escalate. Not only location affects the price but long distance trips require more gas, more risk, and longer traveling times. The car condition also affect the car transport rates; transporting a running car is not the same as transporting an inoperable car. Inoperable vehicles require extra assistance and special equipment in order to mount and dismount on and off the carrier. If these details are not provided during booking, and a driver arrives at pickup to find a vehicle that does not run, if you are lucky enough this driver will have proper equipment already and may charge you anywhere from $50-$100 for the hassle. However if luck doesn’t run by your side, the driver may not able to take your car at all and you will be charged for driver’s dry run fee and re-booking fees, or other cancellation fees that may run from $200-$400. Car transport services usually work with customer’s schedules and work out their routes according to the jobs they get, however sometimes time is not on your side for a transportation. Tight schedules are not cheap and expedite services will be higher. It is very important to plan your transportation request in advance, especially if you’re working with a budget, flexibility is a must! Drivers sometimes have to change their complete schedule to fulfill the requirements of their customer’s, due to this, prices may be bumped up as route changes can be costly on a short notice. 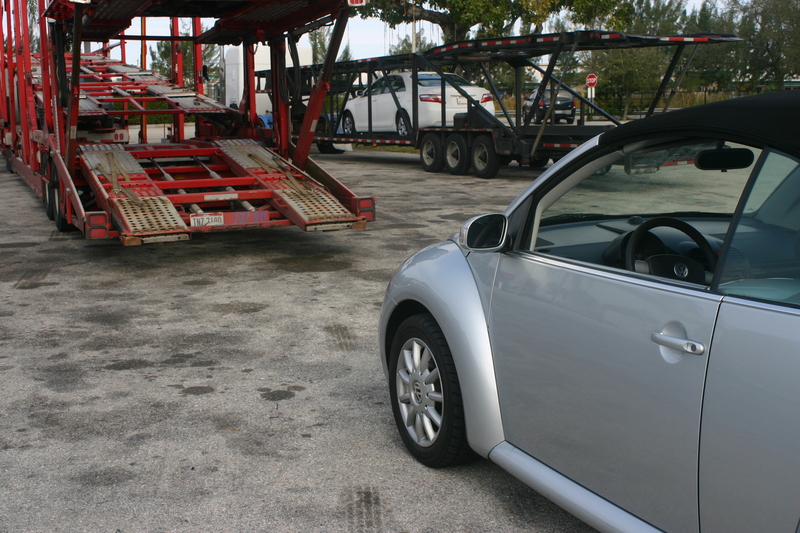 The type of carrier you choose for your car transport also affects prices greatly, car transport is commonly done via open carrier and unless specified otherwise, this is the type of carrier you will get. Some cars, such as high end luxury cars, sports cars, convertibles and most classic cars are required to be shipped via enclosed due to their shapes and value. Sports cars for example have very low clearances that will be scratched on open carriers, as they are not as low as enclosed. Some cars need coverage by better insurance policies in case of any damage, these costs of repair sometime cannot be covered by open carrier insurance, therefore enclosed carriers is a must; the average difference between and enclosed and open carrier as from $300-$600, depending on the car and route. Another factor that affects car transport rates is if cars are being picked up or dropped off from terminals or ports. When the location is a terminal, depending on how many days car has been in storage or in the terminal yard, you will have to pay terminal fees. Fees range from $25-$75, and these have to be covered by customer before driver picks up car, if driver is to pay this fee, you must include this amount in quote. Driver will then provide copy of invoice for your record, however, make sure this is taken care of before or this will cause a delay in your pickup and even cause a cancellation. When cars are delivered or picked up from ports, drivers must have TWIC cards in order to enter the port, these drivers charge a little more due to that. For drivers that don’t have TWIC cards, usually they don’t deliver into the port, however may get escorts. Escorts range from $50-$100, which is also covered by the customer. Lastly, picking up from auctions can also be a bit pricier as some auctions have a lengthy process to release cars. Some drivers are not even willing to pick up from auctions as they are aware of the process and rather not deal with the hassle. Auctions can be very strict and unorganized at times and this causes delays on schedules, hassles and sometimes extra fees. Someone must be compensated for the waiting time and hassle, therefore fess are higher. Due to all these reason, Car Transport Rates vary every time, therefore, it is important that you take in account all these details when looking to transport your car in order to better understand your quoted price. As always stay away from companies with bad reputation and extremely low prices and always research the company you are looking to book with.